Our Managing Partner, Jorge Díaz-Cardiel Torres , is an expert in Economics and Business, Sociology, Law, International Relations and Geopolitics and speaks several languages: the most important of all, the language of business . He was Corporate General Manager at Ipsos Public Affairs, General Managing Partner at Porter Novelli International, General Managing Partner at Iberia Brodeur Worldwide, Director of Marketing and Sales at Intel Corporation Iberia, Director of Investor Relations at Shandwick Consultants, and Economic Journalist at Europa Press and Actualidad Económica Magazine. He is the author of three books turned into best-sellers: “Obama and the pragmatic leadership” (Profit, 2010), “The reinvention of Obama” (LID, 2011) and “Success, with or without crisis” (LID 2012). He is a frequent speaker and contributor to the mainstream media in Spain and the United States. Throughout his thirty years of professional experience, our General Managing Partner has worked extensively in sectors such as Technology, Internet, Telecommunications, Infrastructure Management, Food, Financial Services, Banks and Savings Banks, Distribution, Laboratories, and Public Sector, paying special attention to IBEX-35 companies, regardless of sector. Our partner, María José Durandegui Molas , has a degree in Business and Economics, she is an expert in the U.S. reality after working in the U.S. for over seven years, first in the Spanish Embassy in Washington DC where she worked along with agencies such as the World Bank and the Inter-American Development Bank and later in Los Angeles (California) where she developed her knowledge in the Tech sector as International Marketing Director for Belkin Components. 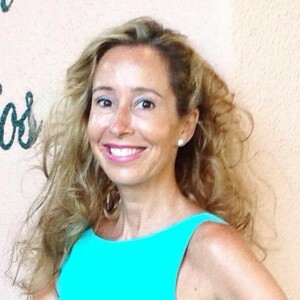 Back in Spain, she has held leadership positions in Marketing and Sales in technology companies such as Panda Software, La Netro Zed and Oracle- Hyperion. She is a Spanish – English bilingual and also speaks Italian and French. Throughout her long career she has had the opportunity to travel to over 70 countries which has brought her a global view of the the business world.